We arrive by car in Abano Terme, Padova, Italy, directly from Lund, Sweden (Magic Convention). It is interesting – and tiring – to cross Europe from north to south, 1800 km! Crossing the North of Italy, we are nostalgic about the many times we have worked in this country. We enjoy Abano Terme and nearby Padova. 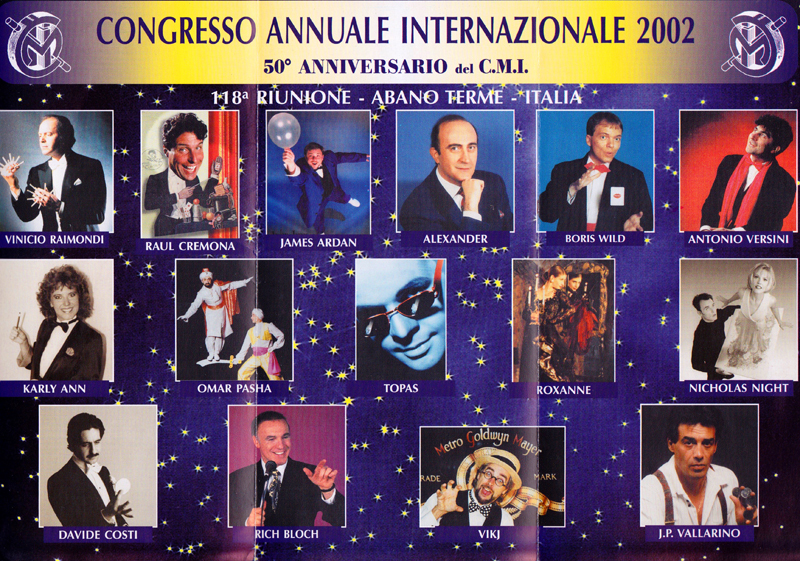 And the National Magic Convention organized by Domenico Dante is a pleasant one. Once again, we are happy to meet our Italian counterparts as well as many international colleagues and friends.